General Organics® provides gardeners with a complete line of premium biological plant foods and supplements. We combine the time-tested ingredients of traditional agriculture with sustainable and efficient methods of modern cultivation. General Organics® now has the GO Box starter kit. 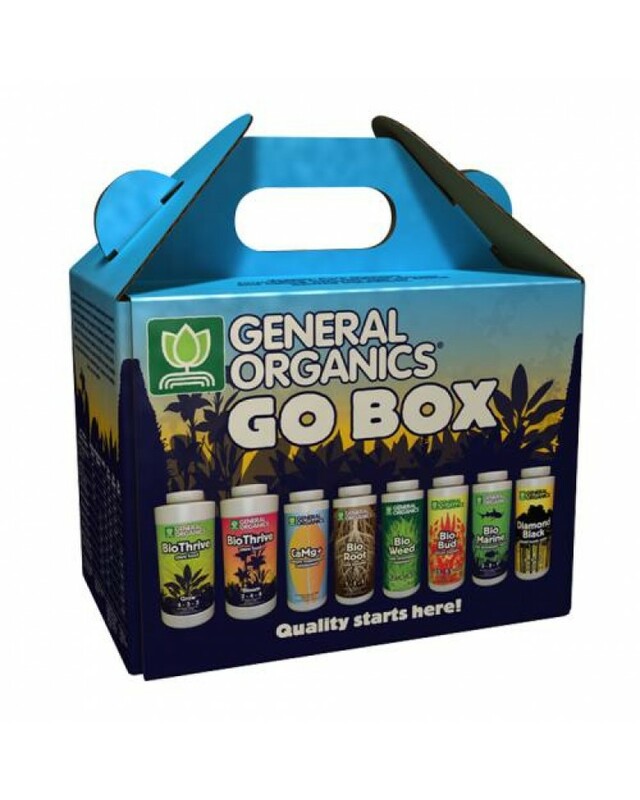 The GO Box contains 16 oz BioThrive® Grow and Bloom fertilizers, as well as 8 oz samples of every GO liquid supplement.